Titila started to form in the late Pleistocene time. The volcano was active 10-8 and 3-2.5 ka BP (14C) (Dirksen et al., 2003, 2004). 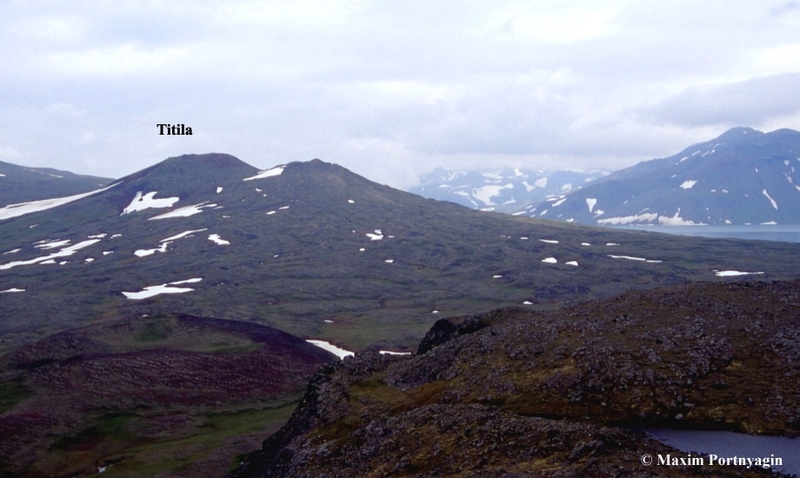 A flank vent (a summit in front of Titila) was formed in early Holocene. Its lava flows dammed a river to form Glubokoe ("Deep") Lake (at the far right). Titila eruptives are transitional from medium to high-K basalt.